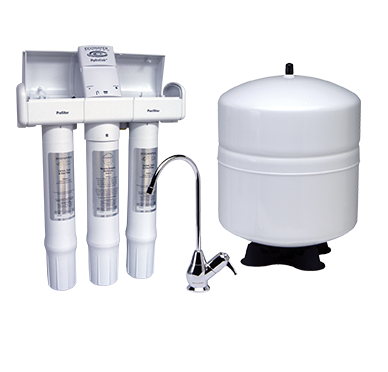 Residential Reverse Osmosis Systems: Quality Drinking Water in Your Home! Contaminants can potentially cause illnesses and may be in your drinking water. A reverse osmosis unit from Canney’s Water Conditioning can remove many of the contaminants from your drinking water. 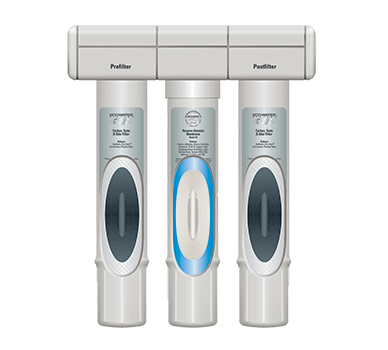 We install reverse osmosis water treatment units for high-quality, purified drinking water at your fingertips. 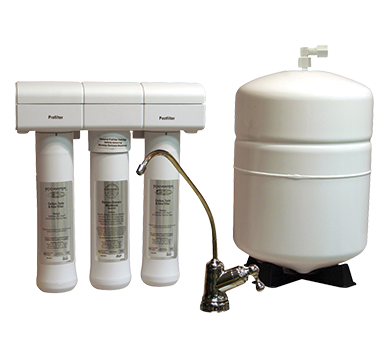 This purification system reduces undesirable elements in the water by a factor of 90 to 99%. The water passes through a semi-permeable membrane into a pressurized storage tank, from which the water goes to service. These units require a soft water feed and have 3/8 inch line for a higher flow of water. This water is delivered by tubing to its own separate faucet, icemaker, refrigerator dispensing units and other locations, if requested. These systems can be installed under your sink or in the basement. When the holding tank is full, an automatic shut off valve is used to conserve water. These units may be purchased or rented. At Canney’s Water Conditioning, Inc., we take pride in our commitment to customer service. If there’s a problem with your reverse osmosis unit, we’ll send a repair technician to your home to diagnose and fix the problem. If our technician is unable to solve the issue, the repair call is FREE. 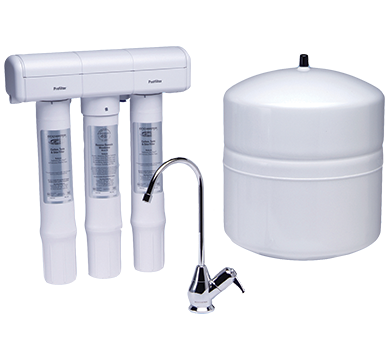 Are you ready to install a reverse osmosis system in your home? Contact Canney’s Water Conditioning, Inc. We’re located in Kalamazoo and serve customers throughout Southwest Michigan.